Farmacy is an online veterinary website supplying veterinary medicines and consumables to farmers at the most competitive prices to save money and cut medicine bills. The service is open to all professional keepers of animals, and is the pharmacy of choice for farmers buying direct and many veterinary surgeons. The site allows you to shop quickly and easily by species, category and the type of medicine or by using the simple search bar if you know the name of products you want to order. If it’s not easy for you to get online, there is a friendly team, based at our head office in West Sussex, where you can place your order over the telephone and call for assistance from Monday – Friday between 9am & 5pm on 01306 628215. Once you’re registered with Farmacy, you can receive farmacyfocus, our monthly newsletter full of veterinary advice, news and views, plus regular product promotions throughout the year. 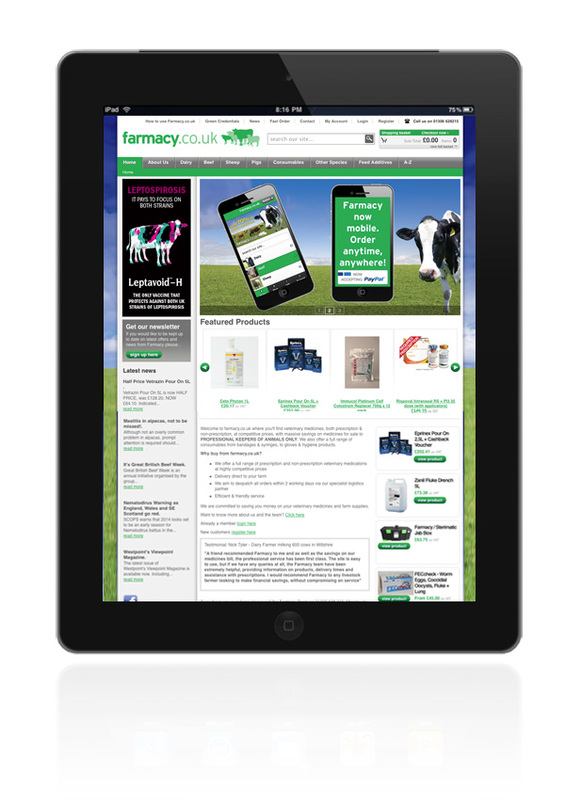 Farmacy has one of the most extensive product listings of farm animal prescription and non-prescription medicines and consumables available online, all competitively priced to allow you to run your business as cost-effectively as possible.